A military inspired casual jacket from Barbour. 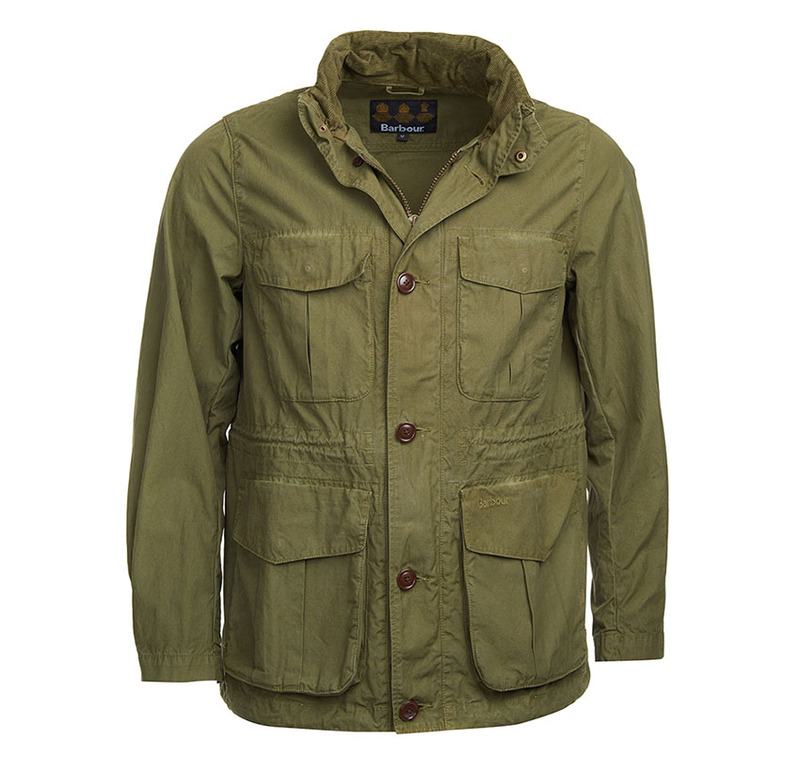 The Crole is a summer weight, garment dyed, 100% cotton jacket ideal for the coming months. 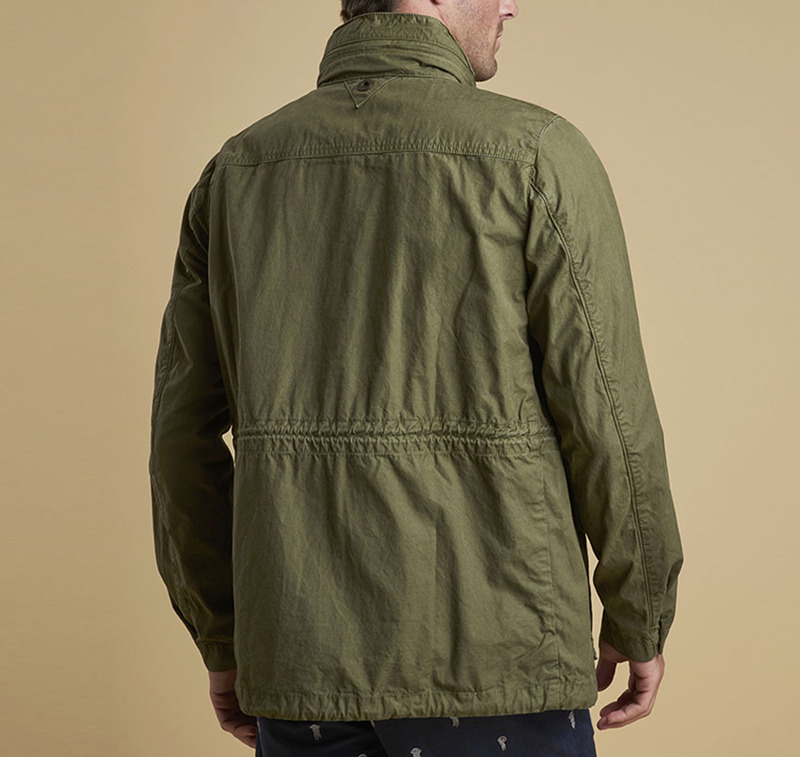 With the classic military four pocket styling offering ample space for storing all of your everyday items, including a studded inner pocket for security. 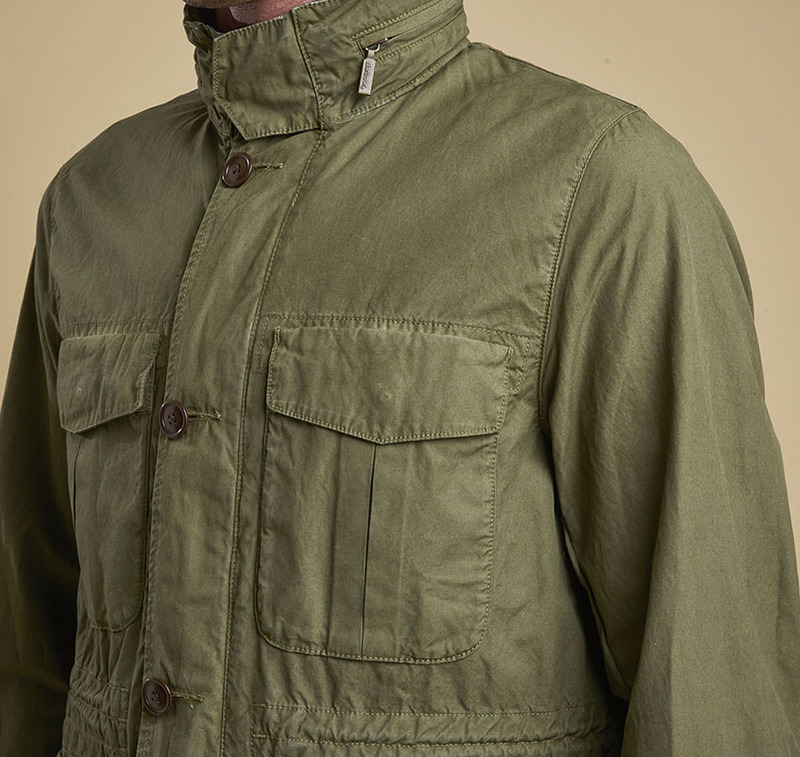 The Crole jacket has a drawcord at both the waist and hem, allowing you to adjust the jacket to suit your style. 100% Cotton garment dyed outer. Unlined with bound inner seams. Draw cord through waist and hem. 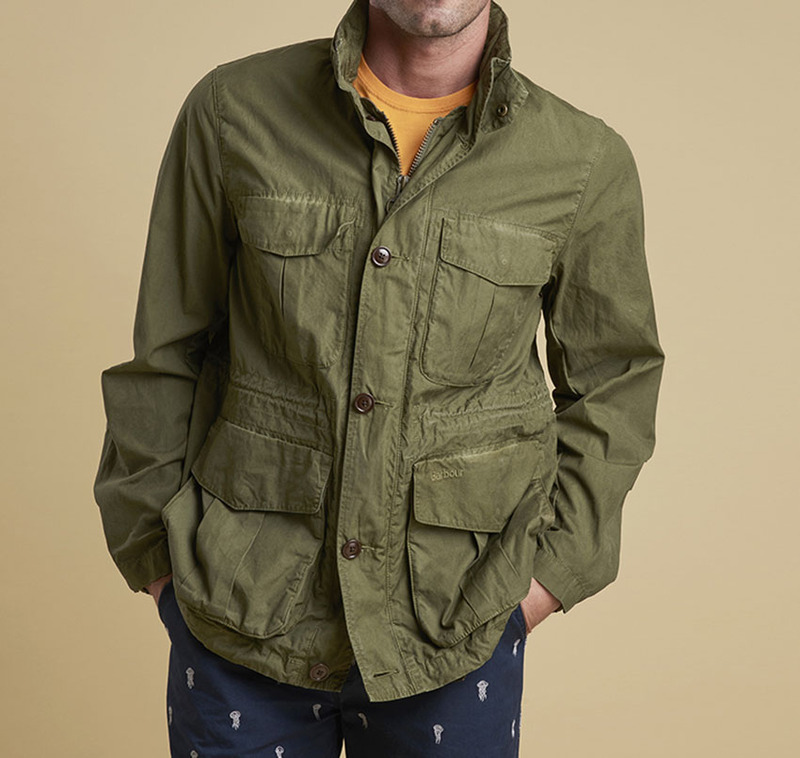 Barbour self-colour embroidery to left pocket flap. Available in Military Green Only.